for the royal couple of instruments have ever been composed. With this work, I am offering a rehearsal package, containing the solo scores, a student copy of the full score, and two CD's - one with the piano and the orchestra but without the violin, and one with the violin and the orchestra but without the piano. 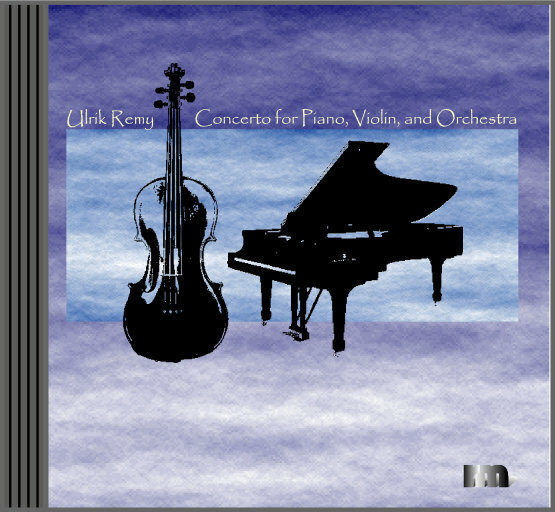 Both CD's also feature a version with the orchestra only. This concerto was composed in Titusville. The score was finalized on January 11, 2009. To me, the composer, it was a matter of pure joy to write this score. It felt like leaning back and watching the kids play.